I popped through an almost-completed project today to get the closing tax credit photos, and had a lovely conversation with the homeowner. 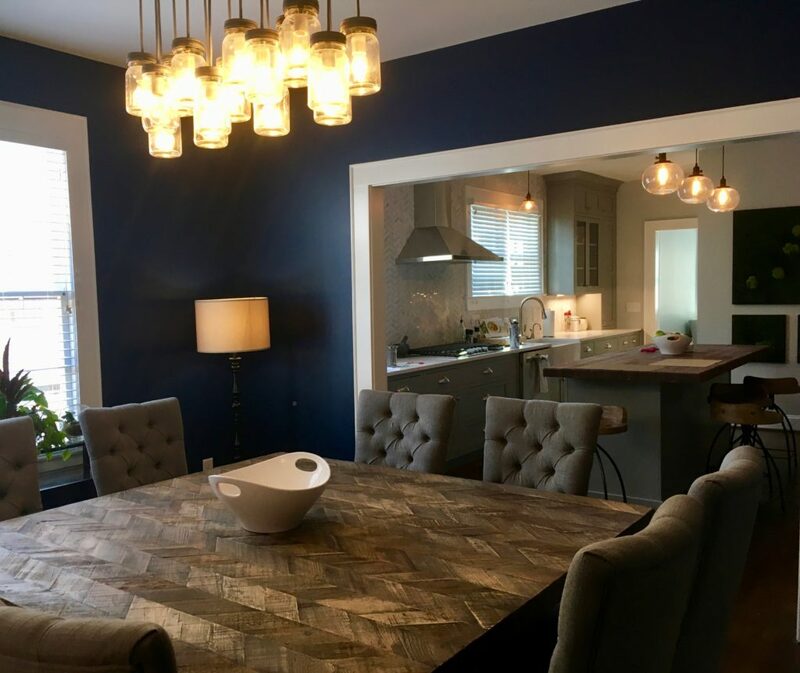 Still unpacking into the renovated space, she was already relishing the remodel and addition to their Trinity Park bungalow. Little things that I had campaigned for – like a connection from the back hall through to their hangout space and kitchen – were making sense to her as she inhabited it. Views through the space that I had envisioned on paper were there in reality, and the good folks at Catherine French Design had sourced gorgeous finishes throughout. The homeowners are excited about the last pieces of furniture arriving and getting everything set up, and I can’t wait to share the final photos once it’s ready. In the meantime, I managed one good snap as a preview. Trinity Design/Build contracted this one. I did the space planning, overarching design, and preservation tax credit work. Finally, CFD took care of the fixtures, finishes, and furnishings.